Search Results: 194 results in 0.0054 seconds. tks05 started a topic Single starting battery? Last edited by newcpt; July 23rd, 2015, 09:42 AM. Last edited by Kourazzy; June 1st, 2015, 08:04 PM. irishman10 started a topic Question about Mercury 1400 (140hp)... Please Advise! Question about Mercury 1400 (140hp)... Please Advise! 4.3 L OMC Cobra in a 1988 Thundercraft I/O. I have not seen this engine run before. Last edited by chr154k; July 24th, 2014, 07:34 AM. vanhornj76 started a topic Starter issues or maybe not?? Starter issues or maybe not?? Transom serial number is OL287387. Drive seal number is OL406238, Engine number is 0L097202. I have a Bayliner 2052LS Capri. 1999 3.0l GM engine with Mercruiser Alpha 1 Drive. Last edited by Emeraldsnake; April 16th, 2014, 09:24 AM. Marley88 started a topic Tohatsu m50c starter issues. Last edited by Marley88; March 4th, 2014, 04:31 PM. MattJohnsonFLA started a topic AQ170 Water in Starter? Where's it coming from? AQ170 Water in Starter? Where's it coming from? 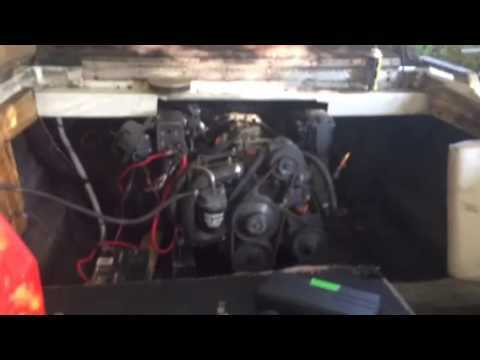 paul_yegr started a topic 1996 Johnson 50hp, Changed plugs, Problems! Please Help. 1996 Johnson 50hp, Changed plugs, Problems! Please Help.